From his inner-city roots in L.A., D.L. 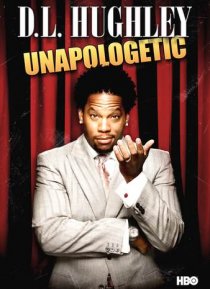 Hughley has become one of the smartest, most popular stand-up comics working today. This HBO special - his fourth - will show audiences just how far he's come, and how funny he is - with no apologies necessary! Taking the stage in Washington, D.C., Hughley focuses on such topics as the dangers of living in the nation's capital, the qualifications of the 2008… presidential candidates, and much more.